PTFE Tape is an ultra thin material typically used to seal pipe threads. The material provides you with near universal chemical resistance. 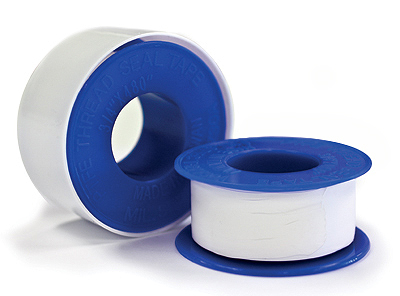 This tape is often mistakenly referred to as Teflon® Tape, but goes by several different names such as Plumbers Tape, Thread Seal Tape, Pipe Tape, Tape Dope, and polytetrafluoroethylene film.